Once again it’s Christmas time in the city! 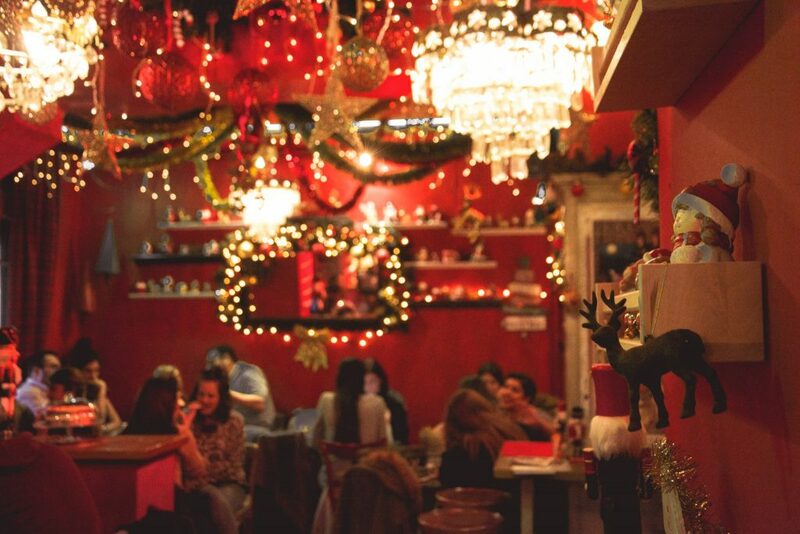 Restaurants and stores are decorated with bright lights, main squares in the city are filled with Christmas trees and several Christmas markets are up and running throughout Thessaloniki. But there is only one hidden spot in Thessaloniki that comes to my mind this time around. 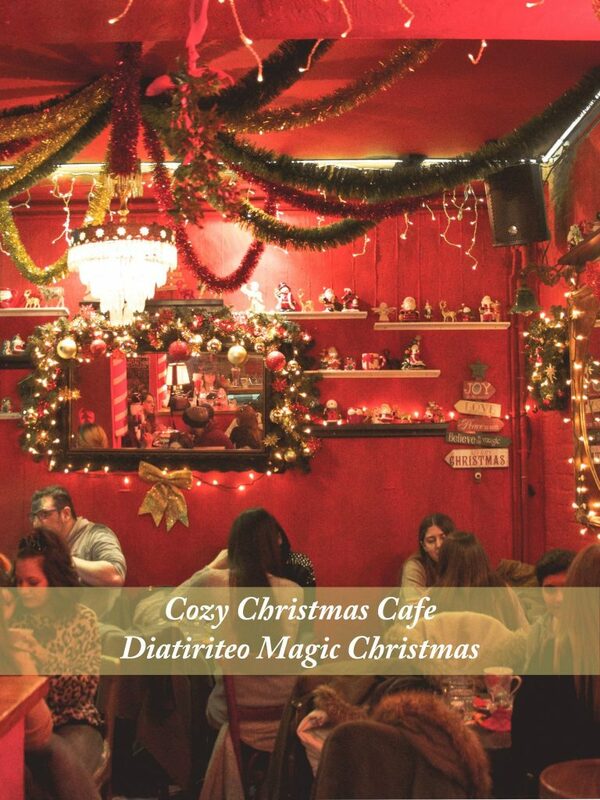 Diatiriteo Magic Christmas café is decorated once again from head to toe, welcoming Christmas with red and green ornaments and with hundreds of golden, sparkling lights. Many of you might remember last time I visited Diatiriteo when it was transformed into a magical circus house. This charming little café is remodeled and redecorated every few months with a new theme. During the fall months Diatiriteo turned into a Hawaiian getaway. 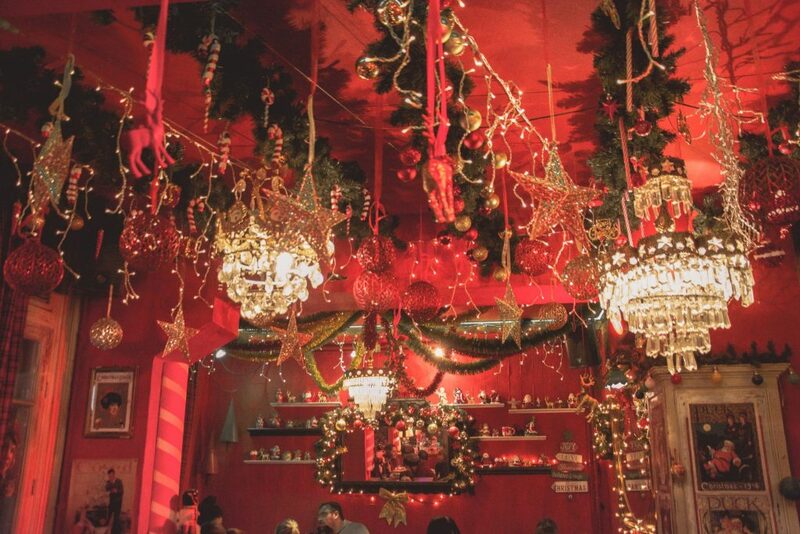 So what better way to celebrate the holidays than to transform the whole place into a magical Christmas house. 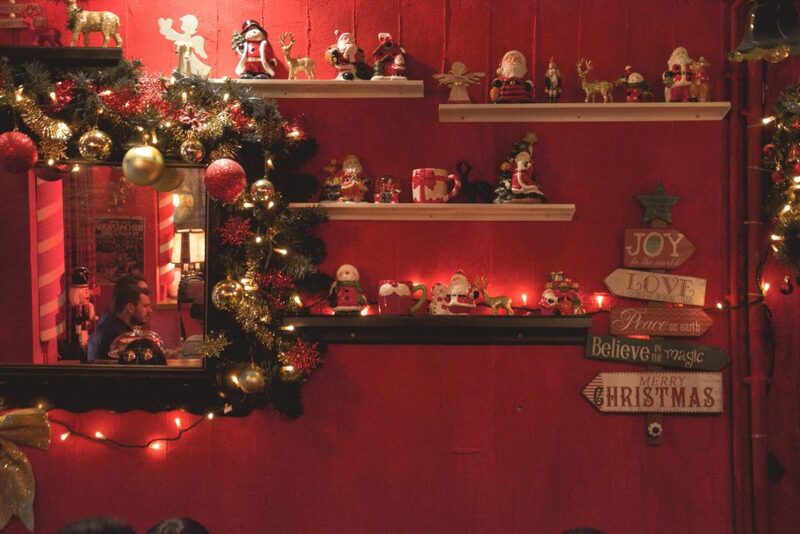 To commemorate the holiday season, Diatiriteo is decorated with countless ornaments, candy canes, Santa hats, nutcrackers, and of course Christmas music. One cannot miss the enchanting essence captivating the eye of the beholder! 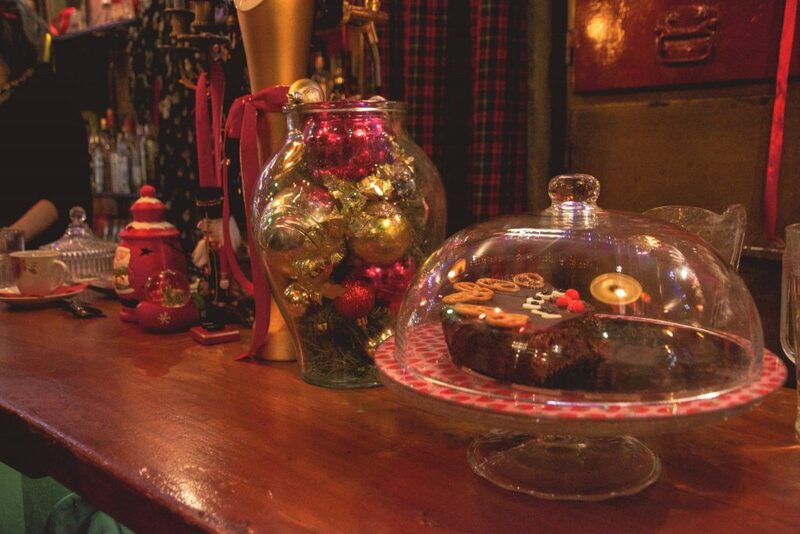 Enjoy a variety of coffees and hot chocolates, as well as delicious holiday treats such as brownies and carrot cake. 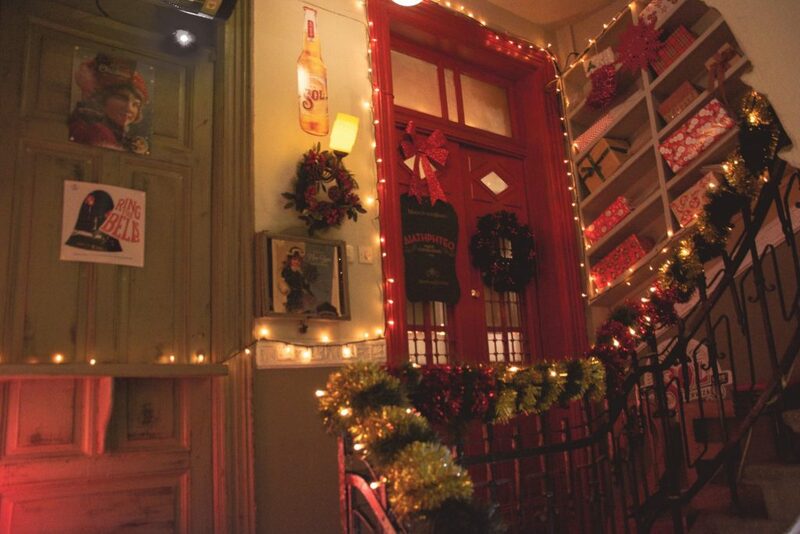 Swing by later in the evening and indulge in some flavorful, eclectic cocktails and Christmas spirits – pun intended! 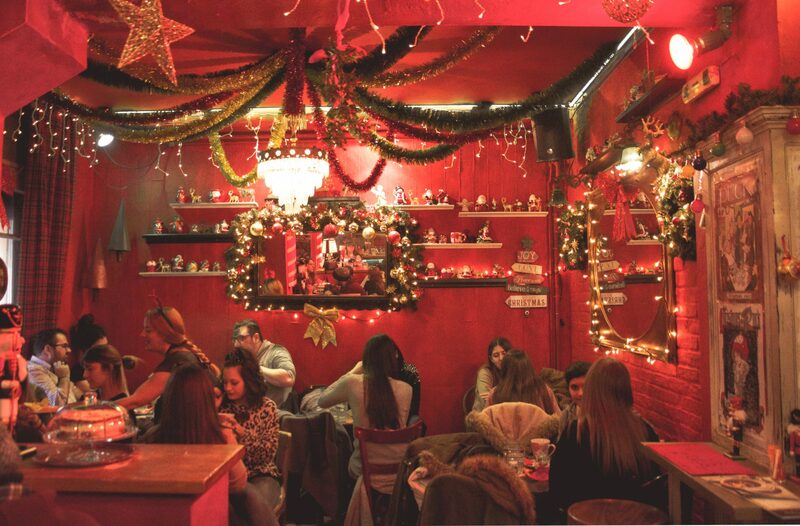 Come and get lost in the Christmas spirit in this cozy and vintage little nook right in the heart of Thessaloniki! 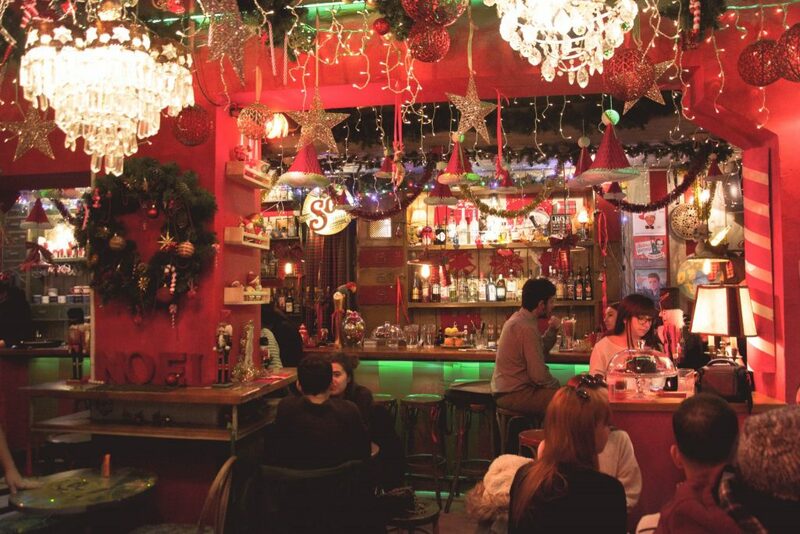 You can read more about my favorite hidden gems in Thessaloniki here! Help spread this post by pinning this!